Medical errors are the unfortunate byproduct of an increasingly complex healthcare system. Now more than ever, keeping patients safe takes well-trained caregivers, relevant insights from a range of industries, additional investment?and a groundbreaking text like Understanding Patient Safety. Understanding Patient Safety is “must read” for those seeking to master the clinical, organizational, and systems issues of patient safety. 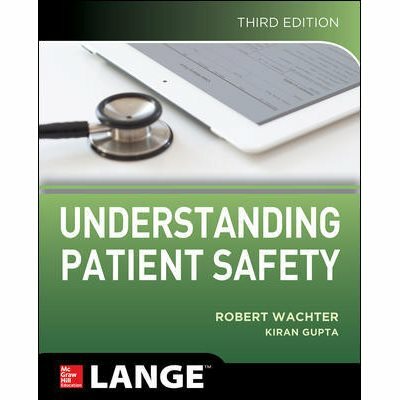 In this bestselling primer, patient safety pioneer Robert Wachter and Kiran Gupta put all the essential tools and principles at your fingertips. Engaging and accessible, the book is filled with high-yield cases, analyses, tables, graphics, along with key points and references?all designed to help you optimize quality and safety. Understanding Patient Safety begins with an introduction to patient safety and medical errors. Its second section surveys specific types of medical errors, including those related to surgery, medications, diagnosis, transition and handoff, and infections. The third section covers proven solutions, from establishing reporting systems, to creating a culture of safety. The third edition reflects pivotal new developments in the field, including major updates in diagnostic errors, information technology and patient safety, ambulatory safety, and clinician burnout.